A must have on the Kitchen tavolo. 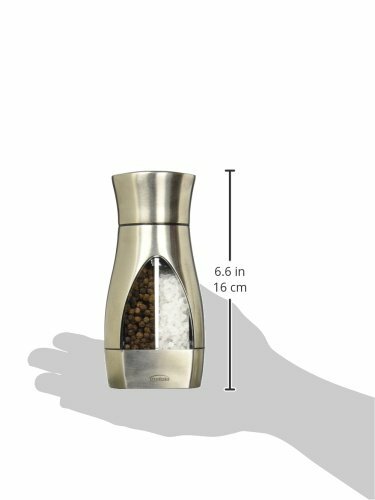 This 2-in-1 Salt and Pepper Mill Lets You Choose either Fresh Ground Pepper oro Salt with a twist of your wrist. This Package contains One 6.25 inch Tall Salt and Pepper Mill. imported. Trudeau 5050187 - Macinino 2 in 1, 19 cm out of 5 based on ratings.